Another treasure trove of plants has been given to the Garden. Hobart and William Smith University, in the Finger Lakes region of New York, has given its historic herbarium collection to BBG. “The specimens in the Hobart Collection are mostly from the last half of the 19th century. In addition to specimens from western New York State, there are significant collections from the New York Metropolitan Area, New England, and even a set of Hawaiian ferns,” said Herbarium manager Paul Harwood. “We expect there to be lots of unique, historical vouchers that will help us to understand the changes that have occurred in the flora of the northeast,” said Steve Glenn, manager of the New York Metropolitan Flora Project. For the next few months, BBG’s herbarium staff will be carefully counting, cataloging, and curating the approximately 5,000 specimens in the collection so that the specimens and their data will be incorporated into our collection and available to researchers, conservationists, and government officials. Soon the information will also be included in our Herbarium database, which is available online. 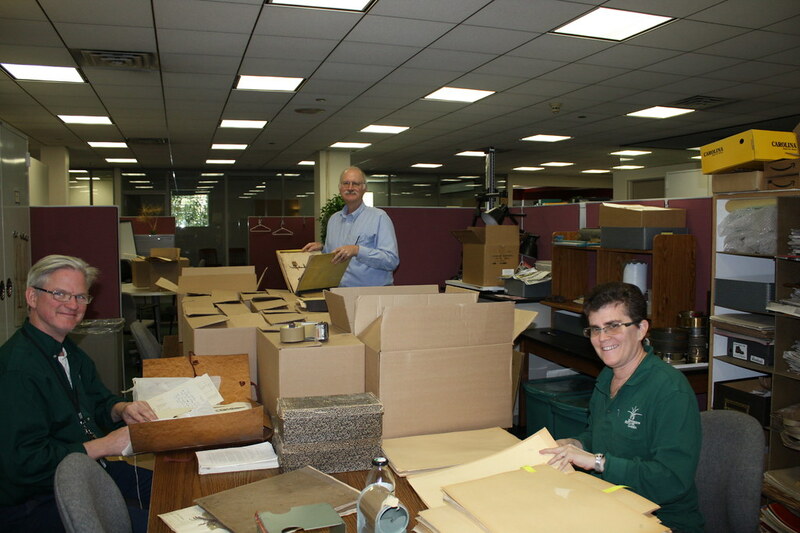 Paul Harwood, Kerry Barringer, and Karen Kongsmai of BBG's Herbarium, will be cataloging the 5,000 specimens recently donated by Hobart and William Smith University. Photo by Kathy Crosby.